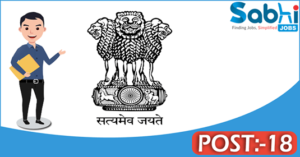 Government of Assam recruitment 2018 notification has been released on official website www.nagaon.gov.in for the recruitment of 18 (eighteen) Junior Assistant Vacancies. Job seekers should apply on or before 29th March 2018. Educational Qualification: Bachelor Degree from a recognized University or Six month in Computer Application/ Knowledge from a institute recognized University by the Government. Fee charges: Applicants who wanted to participate for Government of Assam should pay the below charges through Treasury Challen the Head of account 0070-other administrative services. Interested and eligible aspirants may apply self-attested photo copies of all documents/ testimonials, Original copy of Treasury Challen & Caste Certificates send by hand to Deputy Commissioner, Nagoan, P.O : Pin-782001, District-Nagoan (Assam) on or before 29.03.2018.